Today’s instalment sees Tegla searching for the Holy Grail, musing on lightning-struck sheep and refusing an OBE from the Queen. 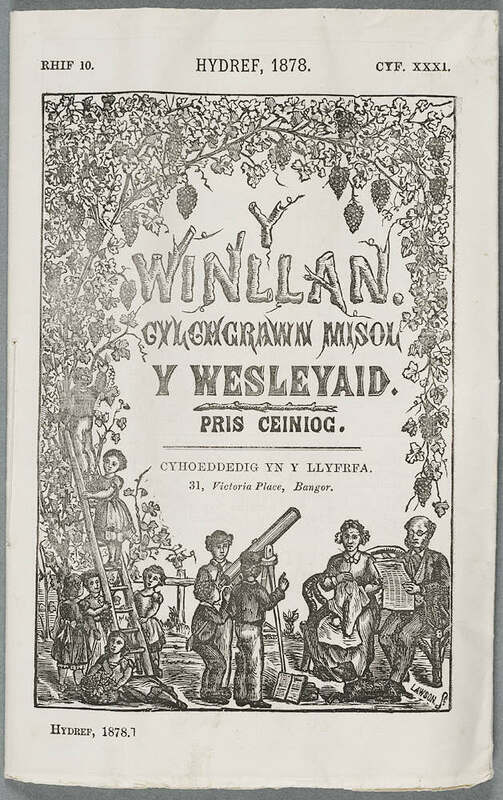 Y Winllan (The Vineyard) was a Wesleyan magazine for children, published monthly in Welsh. 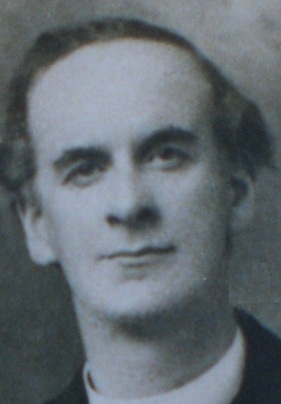 Edward Tegla Davies started off as a reader of Y Winllan, then became a contributor and finally became its editor. 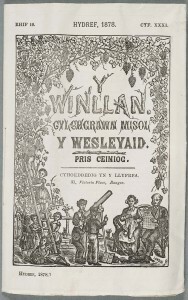 In 1878 the copy you see here was placed inside a glass bottle and hidden behind one of the foundation stones of a new Welsh Wesleyan Chapel in Aberystwyth. The chapel closed in 1992 and the bottle was discovered in 1999 whilst work was being undertaken to convert the building into a tavern. Edward Tegla Davies was in his mid twenties during the Welsh Revival, a period of explosive church growth in Wales in 1904-5 that sparked a Christian ‘awakening’ in many other countries. During that time, chapels were not being closed or turned into taverns. Quite the opposite. Taverns were going bankrupt and churches were full to bursting. According to the Dictionary of Welsh Biography, Tegla had a conversion experience after attending a preaching festival at Coedpoeth, and decided to enter the ministry. In the course of his life he ministered in Abergele, Leeds, Menai Bridge, Port Dinorwic, Tregarth (thrice), Llanrhaeadr-ym-Mochnant, Denbigh, Manchester (twice), Liverpool, Bangor and Coedpoeth. Tegla was not a natural preacher, but he laboured to make himself effective. Here he describes his early efforts. I was born into the tradition that you were not a preacher unless you were a ‘tuner’ (one who employs sing-song cadence in the delivery of a sermon). I would do my best, making myself terribly hoarse and leaving me with a very sore throat on a Monday morning. I was envious of those tuners who could provoke tears, for the proof of a successful service in those days was that the congregation was in floods of tears. The only tears I could conjure up were tears of compassion for my raucous attempts. He moderated his preaching style, adopting a more conversational approach, but never quite lost the sense of strain. There were, however, other features that more than compensated for this and propelled him into acceptance throughout Wales as one of the leading preachers of his day. He was a master of apposite illustration and of clear exposition. His idealism ran alongside a fiercely critical mind, and the boldness with which he advanced one or the other made what he said perpetually challenging. Above all he appeared to be a prophet for his time. Tegla did not prize preaching for its own sake, and his tone was wry when he wrote about the ‘tuners’ and the ‘two-sermon-a-night’ preaching meetings. He was more interested in ongoing discipleship, and for this the home setting was more significant than the church. I am firmly of the opinion that the smallest contribution to the spiritual life of the Church in my time has been preaching at preaching meetings. I am convinced that the chief reason for our intellectual and spiritual poverty, and our lack of influence in the world, is that we have failed to educate our children, young people and all ages, in the basic principles of our faith. There were two farmers at harvest time: Samuel Jones the Hendre and Mr Herbert Fron. Samuel Jones’ land was very poor compared to Mr Herbert Fron’s fertile and copious land. When it was decided to decorate the chapel for the Thanksgiving Service, most of the fruit and vegetables came from Mr Herbert Fron’s fields and green houses. Samuel Jones was not at all happy about this, as he could only offer thorns and brambles. Shortly before the service began, Samuel Jones crept into the church and slyly exchanged Mr Herbert Fron’s abundant crops for his own thorns and brambles. The outcome was that everyone refused to participate in the service. They said that it was impossible to thank God in the middle of thorns and brambles. Everyone refused, except for one, and that was Samuel Jones himself. He had remembered a verse from Isaiah 66 – “Has not my hand made all these things?” – and he worshipped happily alone, surrounded by his thorns and brambles. Edward Tegla Davies (1880-1967), a well-known Wesleyan Methodist minister, produced a charming curiosity called Y Greal Sanctaidd. This booklet for young readers traced the history of the grail legend with the emphasis on its relevance for Wales. Tegla summarized the medieval grail texts, pointed out parallels with early ‘pagan’ Welsh literature, such as Ceridwen’s cauldron, and presented a short exposition on how modern writers, among them Alfred Lord Tennyson, used the motif in their work. The focus was on the spiritual meaning of the grail and its continued relevance to Welsh life, but the distinctiveness of Tegla’s book lies in the fact that it is aimed at a young audience. None of my great-grandfather’s works for children are available free online in translation. 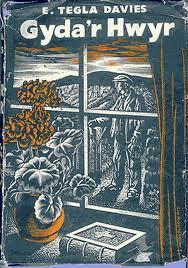 All I could find in English is the adult essay That Grave from his book Gyda’r Hwyr (At Dusk, 1957). The essay is his account of a country walk with a friend to visit Cardinal Newman’s grave. I was thrilled to find this because it gives real insight into Tegla’s spirituality, his love of nature and his keen critical sense. The whole essay is worth a read, but here are three extracts which I found particularly interesting. First, Tegla’s thoughts on the fine line between faith and superstition. The passage demonstrates his love of animals and his flair for asking interesting questions. LAUS DEO. In thankful remembrance of June 30th, 1866, when Divine Providence saved our schoolboys all collected round their father prefect under the adjacent shed, from a sudden thunderstorm when the lightning playing around them struck with death as many as ten sheep about the field and trees close by. It would perhaps be uncharitable to suggest that as Providence had saved the boys and the prefect it should also have thrown its covering over the poor sheep as well, especially as the ruler of Providence is the author of the parable of the Lost Sheep. By praising Providence in this way does not this testimony also diminish it by making it seem rather miserly in its defensive operations? The line between superstition and faith is a fine one and is quite characteristic of the faith that put up this stone. There is something hellish in the Catholic Church and there is something heavenly too. It was she who created Catherine de Medici and her followers, whose likes not even Gehenna could have imagined. And it was also she who created Francis of Assisi and his ‘friars’, and not even Paradise could have devised more lovely lives than theirs. We just stand there, not uttering a word, and we stare for a long time, spellbound, and the eloquent simplicity is the most spellbinding thing of all. And now to another grave, that of Tegla himself. 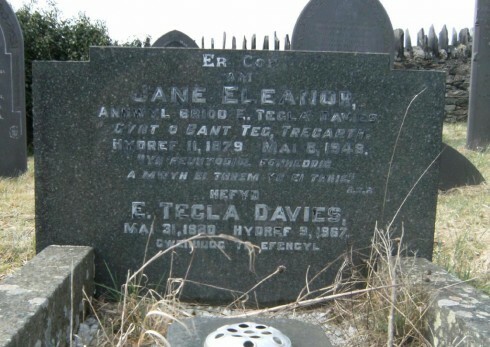 Edward Tegla Davies died in 1967 and was buried alongside his wife Eleanor (he used to call her ‘Nell’) in Gelli cemetery, Tregarth. He had once said that his writing was just one element in his work as a minister of the gospel, and that he wanted a statement to that effect inscribed on his gravestone. But in the end, he got a different quotation: Yn feunyddiol fonheddig. 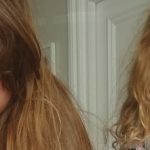 A mwyn ei threm yn ei thrig. I’m eagerly awaiting a translation of the second bit, but the first bit means ‘Noble daily’. I have enjoyed getting to know my great grandfather these last three days. This morning I woke at 4 a.m. and could not get back to sleep for thinking about him, wondering in particular how he would have applied his talents to today’s fiction market. In Tegla’s day, most literary critics viewed fiction-writing and preaching as a dodgy combination. Even more so today. Every how-to book on my writing shelf condemns ‘preachiness’ and ‘moralizing’ as the two unforgivable sins of the modern author. But I can’t help admiring the passion and integrity of this Welshman who let Christ shine brightly from every word he wrote. He never took his collar off – neither on the beach nor in his books. *Why did he decline his OBE? Dad wrote to me that Tegla ‘was never a Welsh nationalist, but he was a patriot, and may not have fancied being honoured by the English monarchy.’ That said, he was not the only writer to decline an MBE, OBE or knighthood. CS Lewis, Roald Dahl, Aldous Huxley, Evelyn Waugh and Robert Graves also turned down honours. 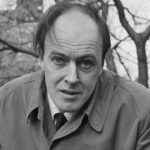 Happy Roald Dahl Day everybody! Next Next post: Security in the Sahel – reason for optimism?